Dutch prosecutors identified a Russian military unit on Thursday (24 May) as the source of the missile that shot down Malaysia Airlines Flight MH17 over eastern Ukraine in 2014, killing all 298 people on board. The airliner flying from Amsterdam to Kuala Lumpur was hit by a Russian-made “Buk” anti-aircraft missile on 17 July 2014 over territory held by pro-Russian separatists. There were no survivors. Two-thirds of those killed were Dutch. 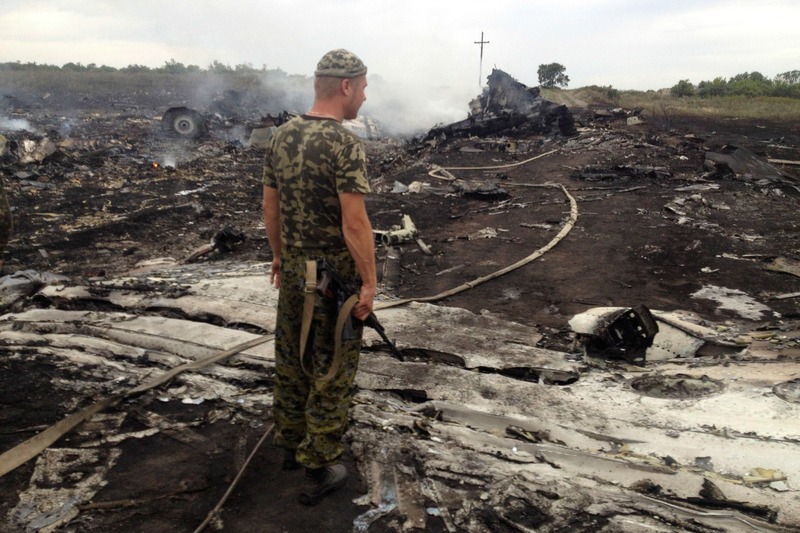 War has gone beyond the territory of Ukraine, the country’s President Petro Poroshenko has stated following the shocking news that the Malaysia Airlines Boeing 777 on a flight from Amsterdam to Kuala Lumpur was brought down yesterday (17 July) over the territory of Eastern Ukraine close to the Russian border. “All the vehicles in a convoy carrying the missile were part of the Russian armed forces”, Westerbeke said. A Joint Investigation Team, drawn from Australia, Belgium, Malaysia, the Netherlands and Ukraine, is gathering evidence for a criminal prosecution over the downing of the plane. Open-source investigation collective Bellingcat previously identified that brigade as the source of the BUK missile launcher. Much of the evidence cited by the JIT was previously identified in earlier Bellingcat reports. “Not a single air defense missile launcher of the Russian Armed Forces has ever crossed the Russian-Ukrainian border,” Russia’s TASS news agency quoted the Defence Ministry as saying in a statement. Russia’s Foreign Ministry said the findings had been based on fake data presented by bloggers and that Moscow’s information regarding the case had been largely ignored. “This is an example of baseless accusations aimed at discrediting our country in the eyes of the international community,” the ministry added. Russia says it has provided evidence that Ukrainian Buk systems were involved in the downing of MH17. The US State Department said on Thursday the United States had “complete confidence” in the findings and called on Russia to admit its involvement. “It is time for Russia to cease its lies and account for its role in the shoot down,” spokeswoman Heather Nauert said in a statement. NATO Secretary General Jens Stoltenberg commended the “professional, independent work” of the Joint Investigation Team. Asked by EURACTIV to comment, Commission spokesperson Maja Kocijancic said that the EU fully supports the work of the Joint Investigation Team. “To ensure accountability and justice the ongoing criminal investigation needs continuing support of the international community. In addition to the earlier findings, the Joint Investigation Team concluded that the Buk installation belonged beyond doubt to the Russian armed forces and stated that the Russian Federation has not provided answers to its questions about this Buk installation, and in view of these facts, we call on the Russian Federation to fully cooperate with all efforts to establish accountability for the downing of MH17 in line with UNSC Resolution 2166,” Kocijancic stated. The JIT presents what they call the "fingerprint" of the Buk that downed MH17, referring to 7 features visible on the Buk (e.g. paint, damage on side skirt, etc). Dutch Prime Minister Mark Rutte cut short a trip to India to return in time for a cabinet meeting on Friday to discuss the latest findings in the inquiry. 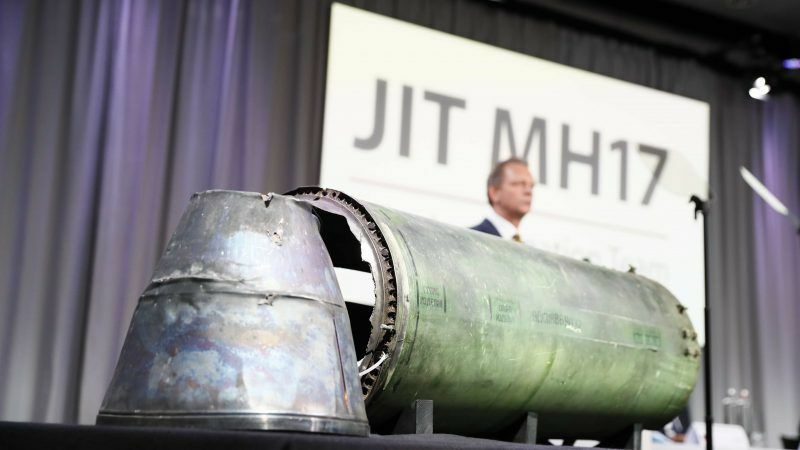 The MH17 Disaster Foundation representing families of the victims demanded that the Dutch government take legal action to hold the Russian state accountable. “It must go beyond legal exploration after this,” board member Piet Ploeg was quoted by broadcaster NOS as saying. Ukrainian Army General Vasyl Hrytsak, a member of the investigation team, told Reuters the next crucial step would be to pinpoint who issued the orders to move the missile system. French President Emmanuel Macron, who is on a visit to St Petersburg, pressed Russia to deal constructively with the Dutch investigation. "What plane are your talking about?"